The cover and table of contents for Issue #21 are shown below. 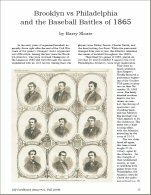 1) "Brooklyn vs Philadelphia and the Baseball Battles of 1865" by Barry Sloate. 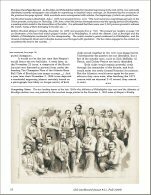 Hobby veteran Sloate documents some key baseball events played in his Brooklyn back yard (figuratively) during the Summer and Fall of 1865. 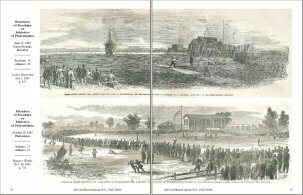 The article's illustrations include impressive panoramic woodcut images from the pages of Harper's Weekly and Leslie's Illustrated--two leading sources of baseball news of the period. 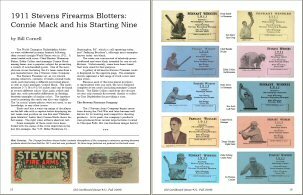 2) "1911 Stevens Firearms Blotters: Connie Mack and his Starting Nine" by Bill Cornell. 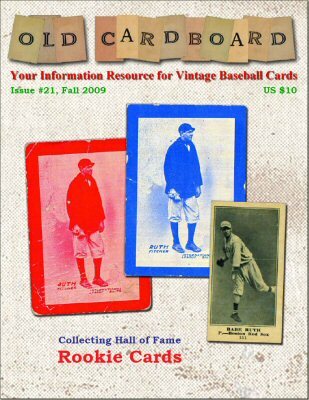 Long a mystery to vintage card collectors, this obscure set is now believed complete at 10 cards. 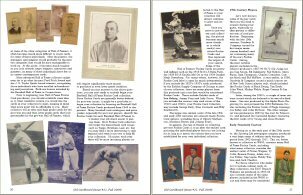 Author Cornell describes the set that features one player from each position of the 1911 World Champion Philadelphia Athletics team, along with team manager Connie Mack. 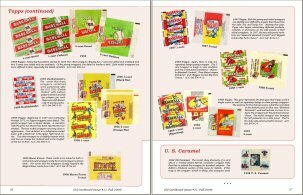 3) "Gum & Candy Card Wrappers of the 1930s, 40s & 50s (Part II)" by Jeff Schwarz. 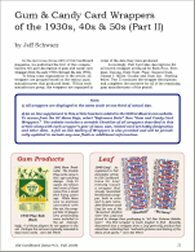 Part II of this blockbuster series concludes collector Schwarz' wrappers article based on information that he has gathered for nearly two decades. 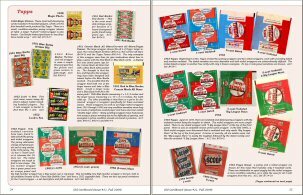 Part II (this issue) covers wrappers distributed by Gum Products, Leaf, National Chicle, Orbit Gum, Overland Candy, Ruth Candy, Schutter-Johnson, Topps and U. S. Caramel. Note: the thumbnails below show only pages from Part II covered in this issue. 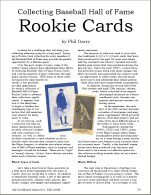 4) "Collecting Baseball Hall of Fame Rookie Cards" by Phil Garry. 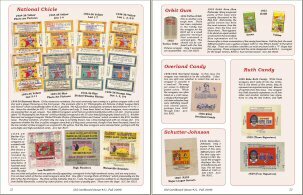 An in-depth look at this popular nich in vintage card collecting. 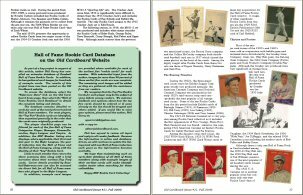 A recognized authority on the subject, author Garry draws from the experience of his own collection and discusses several important choices that must be made in collecting rookie cards. 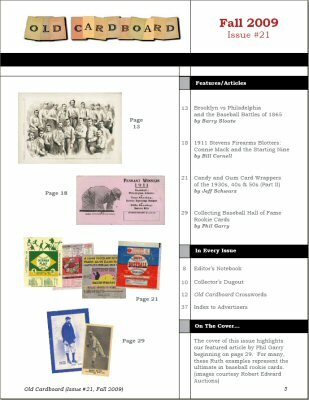 He them provides an overview of rookie card collecting for each important era of baseball card collecting. 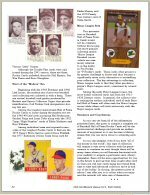 Note: Garry has also provided input for a comprehensive new section on the Old Cardboard website that identifies and pictures the five earliest cards for each of the current 289 members of the baseball hall of fame.